“Thank you so much for my parent's tour this afternoon. They really enjoyed it"
"I wanted to express our sincere appreciation for the phenomenal tour you presented to us at the Supreme Court last week. Your presentation was extremely interesting and informative." “Thanks again for making our trip special. We had a great couple of days with you. Thanks for the expert and fun guiding." 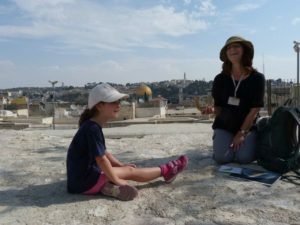 "Thanks for making our visit to Jerusalem a great one"
Role-playing, costumed drama, experiential learning and engaging interactivity make Jerusalem sites come alive for children and accompanying adults. 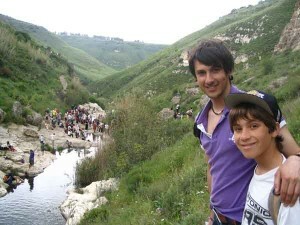 Contact us to arrange entertaining tours of Jerusalem your children will love. “Nikky did an outstanding job for us on Masada with the shortened amount of time she had. No one felt rushed, she gave all the important information, all the while presenting a warm human approach. She continued on the bus after we had to cut it a bit short at the synagogue, but made it seem like it was totally normal. Knowing how in-depth her knowledge is, I found it really a privilege watching a professional give an informative, personal yet curtailed approach which was every bit as good as her usual presentation. 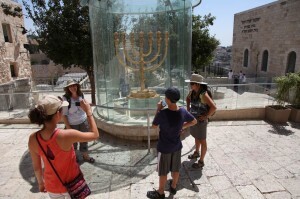 Tour and Explore Jerusalem looks at sites through the lens of Jewish history, archaeology and contemporary issues, providing insights into Israeli society, culture and identity. 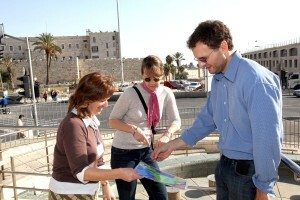 We offer private tours for individuals, families and groups in the greater Jerusalem area and day trips around Israel. Half-day to several days of personalized guiding in and around Jerusalem- the Jewish, Christian, Muslim and Armenian quarters of the Old City, the Supreme Court building and its landmark legal cases, the Dead Sea Scrolls and Israel Museum, Masada and the Dead Sea. Creative and entertaining private tours geared to children and families. Role-playing, costumed drama, experiential learning and engaging interactivity make Jerusalem sites come alive for children and accompanying adults. Special programs available for Bar/Bat Mitzvah families. 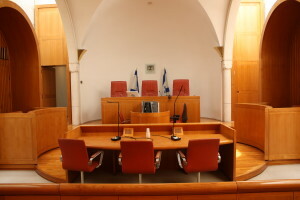 Understand Israel’s unique legal system and gain insights into modern day dilemmas facing Israeli society, while exploring the impressive architecture of Israel’s Supreme Court building. Debate landmark High Court of Justice decisions dealing with the war against terror, security and human rights, democracy and religious pluralism. 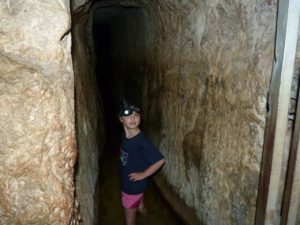 Climb Masada, hike in the desert oasis of Ein Gedi and float in the Dead Sea; Discover Herodion: Herod’s tomb and palace while exploring underground tunnels from the time of the Zealots and from Bar Kochba. Copyright Nicole Strassman 2019. All rights reserved. Photo credits include Henry Stone and Sasson Tiram.